So excited for yet another reveal day for my group in Secret Recipe Club! This month I'm happy to welcome four new members to Group D: Becky, Sue, Lauren, and Mary Kay. I was assigned Bean's blog, Without Adornment, this month. I am honestly blown away at how many women are in the science or engineering fields in Group D. It's just so inspiring and incredible! Bean has a degree in chemical engineering. I don't know what it was, but I was craving pumpkin when I went searching for my recipe for this month's reveal day. When I found this recipe for Pumpkin Struesel Muffins, I was immediately on board. I didn't need to look any further. I ended up making the original version, but if you are on a gluten-free diet, Bean has a gluten-free version that you just have to try! 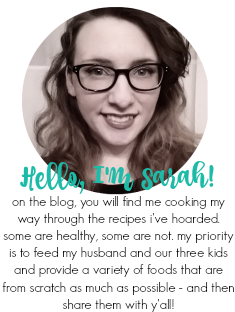 Her blog is full of other allergen-friendly recipes too. These muffins were the best muffins I've ever eaten in my life. They are moist and SO good. I couldn't stop eating them. :) And honestly, pumpkin is just right all year long in my opinion. I love making cookies because they keep better than other types of desserts, so that I don't feel pressured to eat them all or try and give them away to people before they go bad. These cookies would not have survived until they went bad anyways. They are incredibly addictive! My 7 year old has a bit of a sweet tooth...okay, a HUGE sweet tooth, like me. So I have to hide sweets before I go to bed unless I want them to mystically disappear in the middle of the night. Nick ended up hiding the last 3 cookies from Matthew before bed and he forgot about them. A few days passed and no one remembered them...except for me. And I ate all 3. Nick was devastated to say the very least when he went searching a few days later for the cookies he saved for him and the kids. I, on the other hand, have no regrets and no guilt. You can't have just one of these cookies! This queso dip I made on NYE and it was demolished very quickly. My personal opinion is that you can never go wrong with pico de gallo. It's one of the very best things in the whole world and it really did make this queso dip incredible. 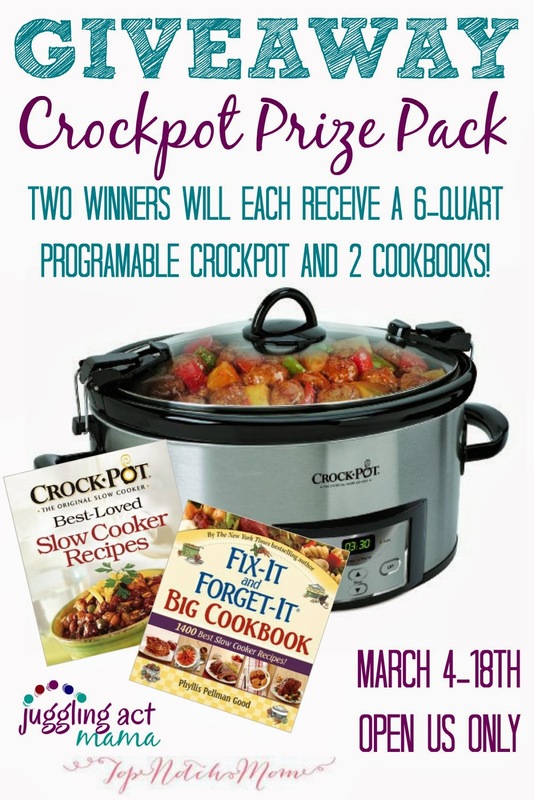 For serving, I suggest keeping it warm in a crockpot or a fondue pot. Ours didn't last long enough for it to need that, but it does begin to solidify if left at room temperature, which is a normal thing for it to do, but it does make dipping hard! 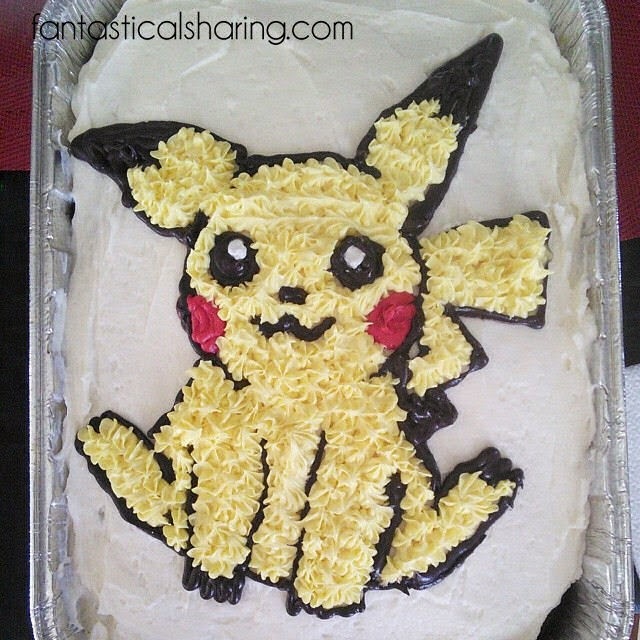 First up, my oldest turned 7 and he requested a Pikachu cake. I amped up some boxed cake mix (recipe coming soon) and decorated it using my homemade buttercream (plain) and then bottled frosting for the actual Pikachu. It took me forever, but I'm really proud of how it came out! Not every recipe turns out pretty-looking. It kind of drives me bonkers. I mean food is typically something that needs to be aesthetically pleasing. Most people won't eat something that doesn't look appetizing. I think I'm not as picky because I grew up eating casseroles and hot dishes that weren't pretty dishes, but tasted amazing. This skillet recipe is a good recipe. It's not necessarily the most pretty, but it is delicious! With the potatoes and meat, it's very filling, but it has the classic flavors of a bacon cheeseburger with the condiments added right in! This week I am very excited to share my review for a book that just recently came onto my radar. I shared my excitement for the book with Nick because it's all about one of his hobbies that I like to assist with: HOMEBREWING! A year ago, I had Beer Week on the blog and Nick took over to talk about homebrewing and share two personal recipes he came up with that have been very successful and are spoken highly of by everyone who has tried them. The book I was lucky enough to get an e-copy of to review is called Sustainable Homebrewing by Amelia Slayton Loftus. "Amelia Slayton Loftus shares her expert knowledge in this comprehensive guide that includes everything homebrewers of all levels need to know to brew delicious, organic beer. She covers the whys and hows of organic brewing, things to consider when buying equipment, and everything you need to know about organic ingredients (what makes them different, how to get them, and how to make substitutions). She also offers more than 30 irresistible recipes. You’ll learn how to brew sustainably by growing ingredients yourself, recycling water, using solar energy, and achieving zero waste. Loftus also includes information on developing new recipes, tips for honing competition skills, and a tasting guide to different beer styles." As we venture out of the military life this year, Nick and I have really begun to talk about what we want to do when we buy our first home. One of our biggest goals is to be as sustainable as possible. In Sustainable Homebrewing, Loftus talks about the very basics of every aspect of homebrewing. While Nick is pretty well-versed and I'm learning through helping, it's always nice to have a fresh perspective and continue learning more and more things about the basics. There is always new information to gain. I am planning on getting this book as soon as it comes out because there are whole chapters on how to brew from scratch and how to reuse what you have brewed with. Plus there are a ton of recipes for beer AND recipes on how to use spent grain. I hope to make a few of those recipes very soon, as we just brewed our first all-grain batch and we have a bunch of huge gallon bags of spent grain in the freezer. We've made a spent grain bread recipe, but it wasn't from this particular book - and it was super delicious. Another awesome part about this book is that Loftus touches on growing your own ingredients to brew with. Nick has already been planning to do this and it is great to have a starting point and guide to reference back to. 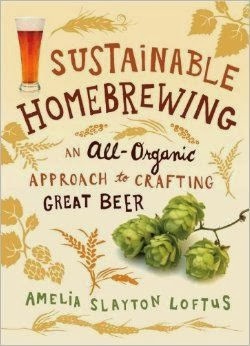 I highly recommend this book to anyone interested in homebrewing or to those who already homebrew, but are looking into more sustainable ways to do it! Once upon a time, I enrolled myself into the most difficult teacher's program my college offers without knowing it. This week I've been cramming for a Praxis exam that I have to drive an hour away to take. It's a big one. They only offer it 4 times a year, so I pretty much NEED to pass this test. This means I'm pretty unprepared for today's post and I don't have a lot of stuff pinned, but I will share what I have pinned. They are some pretty great finds, if I do say so myself :) I had a sweet tooth for the most part - except for the last one. For Christmas morning, I was looking for something easy, quick, and filling. I really wanted cinnamon rolls, but I'm not gonna lie, most of the time I enjoy grabbing the Pillsbury Cinnabon cinnamon rolls and just throwing them in the oven when I have a hankering for cinnamon rolls. Of course, for a special morning like Christmas, I don't want to serve something up from a can. I also didn't want to wake up at 4am to have breakfast ready by the time the kids woke up at 7am. These rolls can be made in 45 minutes or less, so they are a definite win in my book. I would say that these are on the top of my favorite cinnamon roll list. The buttermilk and cloves make these stand out compared to just regular old cinnamon rolls. 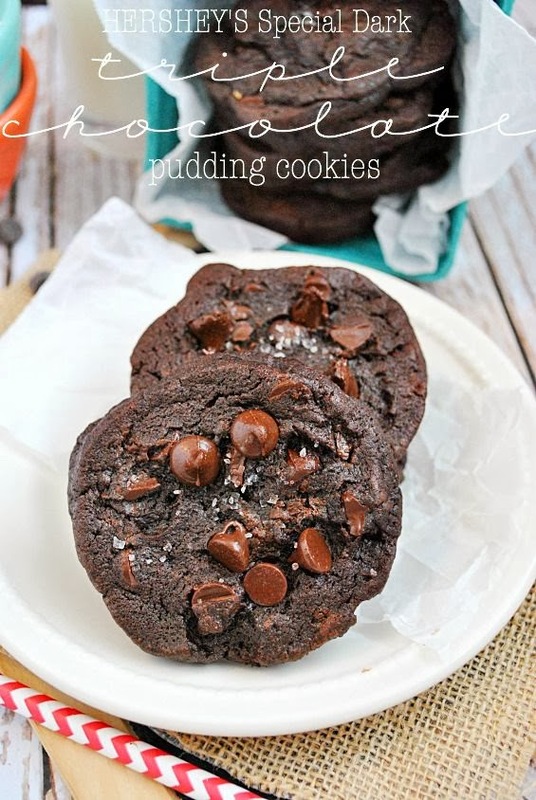 They are definitely a breakfast you want to make as soon as possible! I'm pretty much always down to try an off-the-wall sandwich. One of my all-time favorites is peanut butter + green olive sandwich. So when I saw this one was made with pickles and tomato and two different cheeses, I knew I would like it. It's a little bizarre, but a great combination.